Omar Khayyám was a legendary Persian mathematician, astronomer, and poet. In his home country during his life, he was known for his skill at algebra, but today, he is known mostly for his published literary works. Omar Khayyám was born in Neyshābūr in 1048. He was the son of a tentmaker and his formal education was invested in math and philosophy. He would later travel to what is now known as modern day Uzbekistan where he would focus his work on algebra. He would eventually publish an interesting treatise known as the Treatise on Demonstration of Problems of Algebra. This would be his seminal work and it aided in establishing his reputation as a brilliant mathematician. At the core of this work was a discussion on the role of cubic equations and how it related to algebra overall. There were quite a number of other interesting components to be found in his early treatise on algebra. He delved into the topic of the extraction of cubes and the extraction of nth roots for whole numbers that are thought to be arbitrary. The work Omar Khayyám achieved in his study of algebra helped in enhancing his reputation throughout the nation. He was eventually asked to travel to Esfahan at the request of the Sultan and work of reforming the current calendar. A completely new observatory was built to help Khayyám achieve this task. The finished result was a calendar, named the Jalālī calendar, which is considered to be more accurate than even the modern Gregorian calendar. 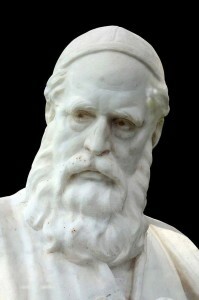 During his time in this region, Khayyam also presented his theory of proportion while also producing a unique critique theory of parallels which was the brainchild of Euclid. The work performed by Khayyám was also acclaimed outside of the hemisphere in which he lived. His work greatly influenced those in Europe which, in turn, meant his early work would continue to be built upon long after his passing. When the Sultan passed away, Khayyám lost the one person who supported his work and study the most. He did not see eye to eye with the Sultan’s widow and the situation ended with Khayyám returning to Medina. This was not an unproductive endeavor, however. While he was in the region, he served as the astrologer of the court. As previously stated, Khayyám became more well known in the western world as a writer and philosopher. He wrote catchy poems with four-line verses known as quatrains and these proved both humorous and introspective to those reading them. His work was deep and philosophical which helped it attain great acclaim. In 1131, Omar Khayyám passed away in his place of birth, Neyshābūr. He was about 83 years old when he passed away and left an enduring legacy.